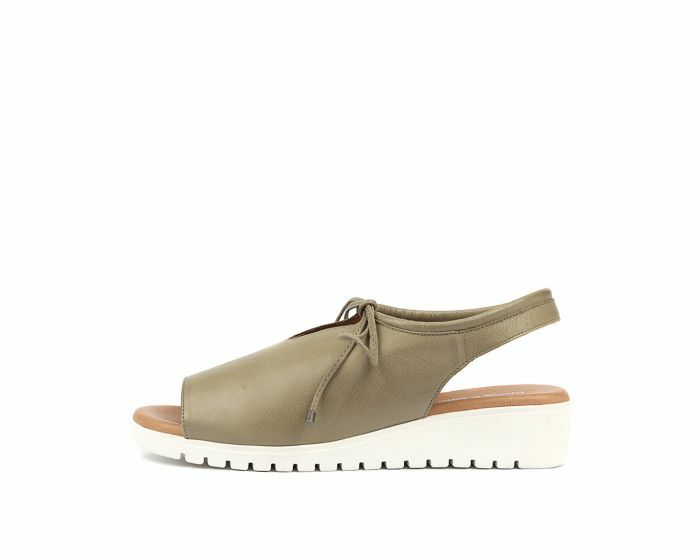 Keep your look cool and casual in this trendy summer sandal. Available in a number of fashionable colours, this design features a raised wedge sole with a cushioned leather lining that allows for an ultra comfy fit. Composed of leather, this sandal has laces that tie up around the ankle, along with a comfortable slingback strap. Pair it with your favourite denim and a striped tee for a relaxed-chic look this season.